Looking for mind-expanding presentations by industry leaders? 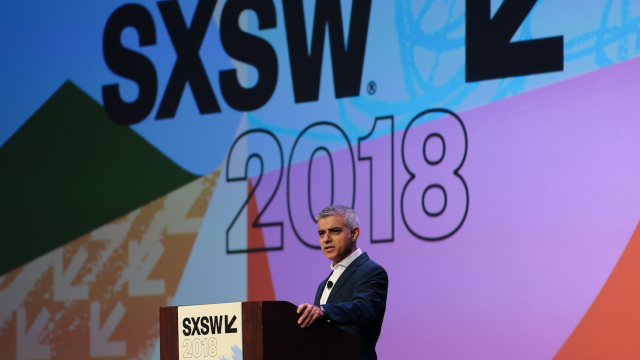 SXSW Conference Featured Speakers bring together some of the biggest and brightest names of our time. 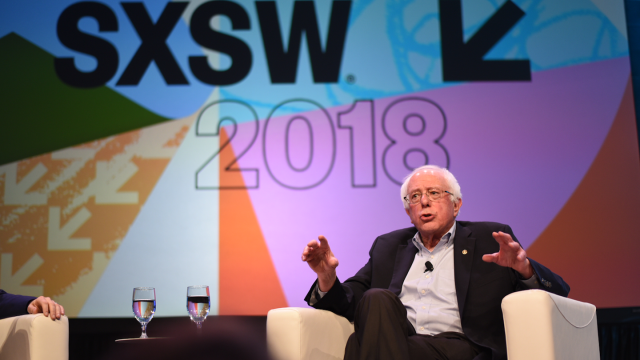 Across the various themes and trends at SXSW, Featured Speakers present a snapshot of the most transformative ideas shaping our future. Browse 2019 Featured Speakers below and for more influential speakers at SXSW, also browse the Keynotes page. 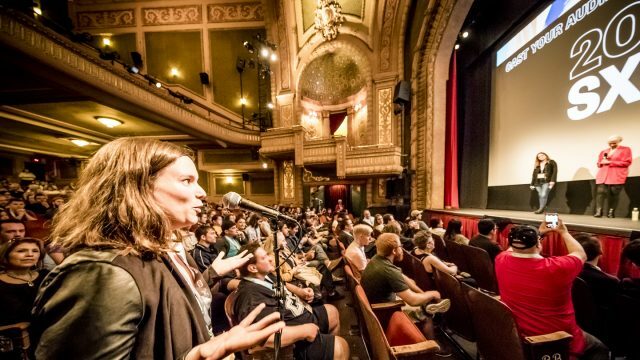 Stay tuned for more 2019 SXSW programming announcements throughout the season on SXSW News. 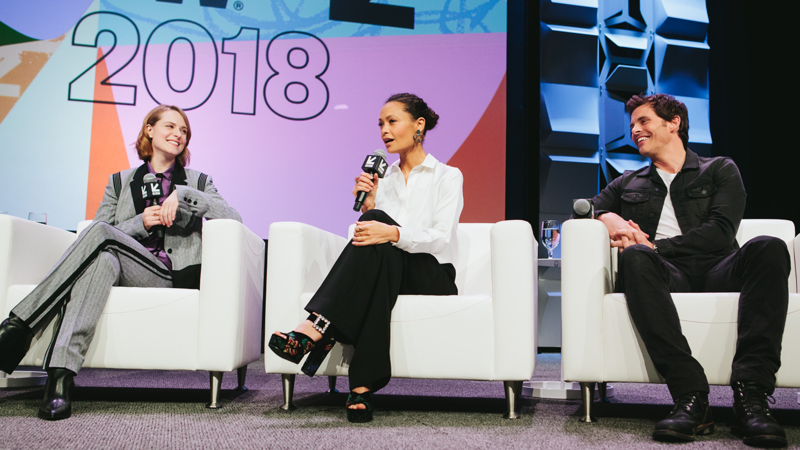 A Better Future Through Digital Health Featured Session (Health & MedTech) — The U.S. health care system is big, complex, at times difficult to navigate, and expensive. The good news is that a fix is within our grasp: It’s digital, and consumers are willing to embrace it as long as it meets their needs and provides the level of quality they expect. Delivering this requires a full-on consumer-centric approach. Join David Ko (President and COO, Rally Health, Inc.), Sarah Martin (VP, Product and Consumer Innovation at BlueCross BlueShield of South Carolina) and Vickie Strickland (Director, Health Strategy & Resources Delta Air Lines) to learn their strategies for advancing the promise of digital health. Blockchain Deathmatch: Permission-ed vs -less Session Featured Session (Blockchain & Cryptocurrency) — Join Christopher Ferris (CTO Open Technology, IBM), Angela Walch (Professor of Law, St. Mary’s University School Of Law), Jimmy Song (Bitcoin Core Contributor & Venture Partner, Blockchain Capital), and moderator Cesare Fracassi (Professor of Finance, University of Texas at Austin) for a conversation about permissioned (private) blockchains and permissionless (public) blockchains. Pete Buttigieg (Cities, Government & Politics) — Mayor Pete Buttigieg is the chief executive of the City of South Bend. He took office in 2012 at the age of twenty-nine, and is responsible for the city workforce of over 1,000 employees and an annual budget over $380 million. Buttigieg has been profiled by the New York Times and was called “the most interesting mayor you’ve never heard of” by the Washington Post. A Rhodes Scholar, Buttigieg studied Philosophy, Politics, and Economics at Oxford and has a degree in American History and Literature from Harvard College. An officer in U.S. Navy Reserve from 2009-17, Buttigieg took a leave of absence to serve in Afghanistan during a seven-month deployment in 2014, earning the Joint Service Commendation Medal for his counterterrorism work. Buttigieg will be in coversation with host of Crooked Media’s With Friends Like These, Ana Marie Cox during the Conversations About America’s Future Series. Julián Castro (Cities, Government & Politics) — Former U.S. Secretary of Housing and Urban Development Julián Castro will be in coversation with HuffPost editor in chief Lydia Polgreen during the Conversations About America’s Future Series. Tinker Hatfield and Scott Dadich (Design) — Tinker Hatfield is the Vice President of Creative Concepts at Nike where he oversees Nike shoe designs and Nike’s Innovation Kitchen. In addition to working with Michael Jordan each year, Hatfield currently creates specialized Nike athletic products for champion athletes including LeBron James, Kobe Bryant, Laird Hamilton, Gabrielle Reece, Renaud Lavillenie, and numerous track and field athletes and entertainers including Justin Timberlake. Scott Dadich is founder and Co-CEO of Godfrey and Dadich Partners, a design and strategy firm that creates narratives — from documentary films and long-form journalism to corporate strategies and campaigns. In 2018, Dadich co-founded Majordomo Media, a new kind of entertainment and media company with renowned chef David Chang. He is also the creator and executive producer of the Netflix series Abstract: The Art of Design. John Hickenlooper (Cities, Government & Politics) — Former Governor John Hickenlooper will be in coversation with Buzzfeed News editor-in-chief Ben Smith during the Conversations About America’s Future Series. Jay Inslee (Cities, Government & Politics) — Governor of Washington Jay Inslee will speak during Conversations About America’s Future, a series of talks in collaboration with The Texas Tribune that will bring together some of the nation’s top political leaders whose ideas and vision for the future will shape our country through 2020 and beyond. Valerie Jarrett with Melissa Bell (Cities, Government & Politics) — Valerie Jarrett was the longest serving senior adviser to President Barack Obama. She oversaw the Offices of Public Engagement and Intergovernmental Affairs and chaired the White House Council on Women and Girls. Jarrett has received numerous awards and honorary degrees, including Time’s “100 Most Influential People.” She is currently a senior adviser to the Obama Foundation and Attn; serves on the boards of Ariel Capital Management Holdings, 2U, and Lyft; is President of the Board of When We All Vote; a senior distinguished fellow at the University of Chicago Law School; and author of the upcoming book Finding My Voice: My Journey to the West Wing and the Path Forward. Jarrett will be interviewed by Vox Media’s Melissa Bell. Alexis Jones (Future Workplace) — Founder of I AM THAT GIRL and ProtectHer, Alexis Jones is also an author, activist, speaker, and media personality. In a messy, complicated world of hyper political correctness, rampant “isms” and unparalleled divisiveness; Jones will explain all the nuances to help usher us from a place of anger to patience, fear to tolerance and shame to radical grace. Hired to work with Fortune 100 companies, Hollywood, US politics, and the sports world; Jones understands that the best company culture’s are built with an intentional heartbeat; individuals with hyper self awareness, humility through context, brave vulnerability, and empathy through proximity. John Kasich (Cities, Government & Politics) — Former Governor John Kasich will be in coversation with Washington Post associate editor David Maraniss during the Conversations About America’s Future Series. Austin Kleon and Debbie Millman (Design) — It’s been a rough few years and nothing seems to be getting any easier. A lot of people wake up every morning and ask themselves, “How do I keep going? How can I stay focused on my vision when the world seems out of control?” New York Times bestselling author of Steal Like an Artist and Show Your Work Austin Kleon joins writer, designer, educator, and founder of Design Matters Debbie Millman for a discussion on how to keep working, keep playing, keep searching, keep giving, keep living, and Keep Going. Eric Klinenberg (Cities, Government & Politics) — Eric Klinenberg is Professor of Sociology and Director of the Institute for Public Knowledge at New York University. A prolific author and editor of Cultural Production in a Digital Age and the journal Public Culture, his scholarly work has been published in journals including the American Sociological Review; Theory & Society; and Ethnography, and he has contributed to The New Yorker, The New York Times Magazine, Rolling Stone, and more. Amy Klobuchar (Cities, Government & Politics) — United States Senator Amy Klobuchar will be in coversation with Recode co-founder and editor-at-large Kara Swisher during the Conversations About America’s Future Series. The Legacy of Apollo and the Next Giant Leap Featured Session (Intelligent Future) — The Apollo missions are arguably the most significant technological and exploration achievements the world has ever witnessed. Even though the space program was born out of the space race, what came out of Apollo was far more positive. As we come upon the 50th Anniversary of the first moon landing on Apollo 11, this session will look to the future of human space exploration. Join Gerry Griffin (Former NASA Flight Director on Apollo missions), Vanessa E. Wyche (Deputy Director of the NASA Johnson Space Center), and Bobak Ferdowsi (Fault Protection Lead for the joint NASA-ISRO mission at NASA JPL) as they discuss the obstacles that had to be overcome in order to reach the moon, the future return to the moon and the new horizon of Mars, and how exploring space can help make life better on Earth. Kevin McCarthy (Cities, Government & Politics) — House Minority Leader Kevin McCarthy will be in coversation with Politico senior writer Jake Sherman and senior Washington correspondent Anna Palmer during the Conversations About America’s Future Series. Jonah Peretti (Media & Journalism) – After co-founding The Huffington Post in 2005, Peretti launched BuzzFeed in 2006 as an experimental lab that focused on tracking viral content and making things people wanted to share. Under Peretti’s leadership, BuzzFeed now reaches the third largest U.S. millennial audience on the internet and generates more than 9 billion monthly content views, with writers and producers creating shareable and entertaining content, and reporters and editors covering everything from politics to technology and investigations. Howard Schultz (Social & Global Impact) — Recognized for his entrepreneurship and servant leadership, Howard Schultz built Starbucks Coffee Company into one of the world’s most recognized and respected businesses, a company committed to strengthening communities through human connection and social innovation. After four decades with Starbucks, Schultz stepped down on June 26, 2018 and became chairman emeritus. Along with his wife, Shari, he is co-founder of the Schultz Family Foundation. Schultz is also the bestselling author of four books including his most recent title For Love of Country: What Our Veterans Can Teach Us About Citizenship, Heroism, and Sacrifice. David Estrada, Sarah Kaufman, and Josh Rasmussen (Tech Industry & Enterprise) – Join Chief Policy Officer of Bird, David Estrada, CEO of Monday Motorbikes, Josh Rasmussen, and NYU Assistant Professor, Sarah Kaufman, as they discuss the accelerating evolution of urban transportation. This fireside chat will include topics on micro mobility, lightweight electric vehicles, transportation adoption by age and gender demographics, and predictions for the future of urban transportation. Elizabeth Warren (Cities, Government & Politics) — Senator Elizabeth Warren will be in coversation with Time Magazine contributor Anand Giridharadas during the Conversations About America’s Future Series. Bill Weld (Cities, Government & Politics) — Former Governor Bill Weld will be in coversation with WIRED contributing editor Garrett M. Graff during the Conversations About America’s Future Series. Stay tuned for more Featured Speaker announcements throughout the 2019 SXSW season. 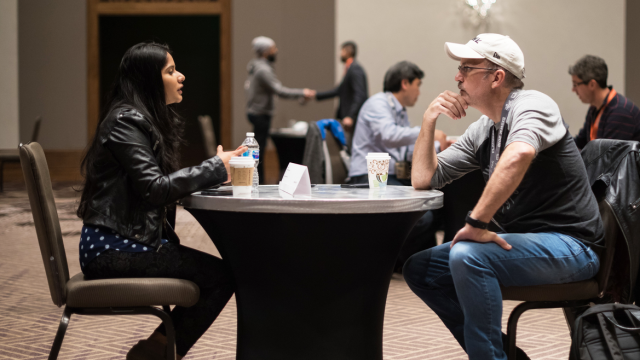 The SXSW Conference provides an opportunity for global professionals at every level to participate, learn, and network. Each track allows attendees to explore what’s next in the worlds of entertainment, culture, and technology.